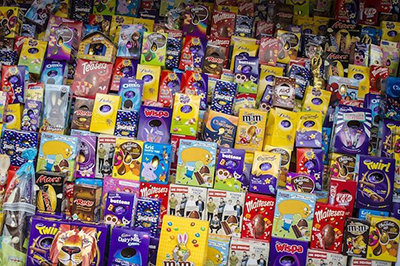 What to do over the Easter weekend? With the four day Easter weekend nearly upon us, we take a look at a few things to do to keep the children and grown-ups entertained in the local area. 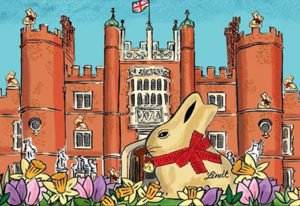 The annual Lindt Gold Bunny Hunt returns to Hampton Court for another year of chocolatey goodness. Search the gardens and find all the golden bunnies so you can swap them in for a great prize. On top of the hunt, there will be chocolate tasting in the Base Court Lunchroom and a chocolate cup decorating workshop in the Hampton Court Classroom both from 11am-4pm. The cost is £15.90 for adults and £8 for children. 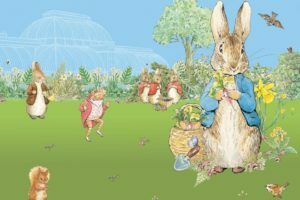 Peter Rabbit and his friends have taken over Kew Gardens for the Easter period. There will be games and activities and opportunities to learn about the vegetables grown in Mr McGregor’s garden and about Beatrix Potter’s characters and stories. 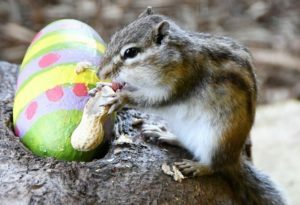 In addition, there will be a carrot-themed Easter egg trail through the woods. Collect all the symbols, bring them back to the Millennium Seed Bank and decode the carrot muffin recipe and receive a special chocolate egg. Admission ranges from £4-£16 and it will be £4 for the children to take part in the hunt. The Children’s Trust help children with brain injuries to live a full and enriching life. Located in the beautiful Grade 1 listed country mansion off Tadworth Street, they are holding their Easter fair hoping to raise vital funds to continue their excellent work. At the fair there will be an egg hunt, go karts, a spring farm, fairground rides and a food market. Last year, they raised over £8,000, and let’s hope they can top that this year. Entry is £3 and the egg hunt is £4.50. Head down to Battersea Park to take part in a variety of fun filled activities. There will be an Easter egg trail, Easter card and rabbit ear making and lots of egg-related storytelling. You can also meet a real rabbit! The cost is £1.50 for the egg trial on top of the standard zoo entrance fee.